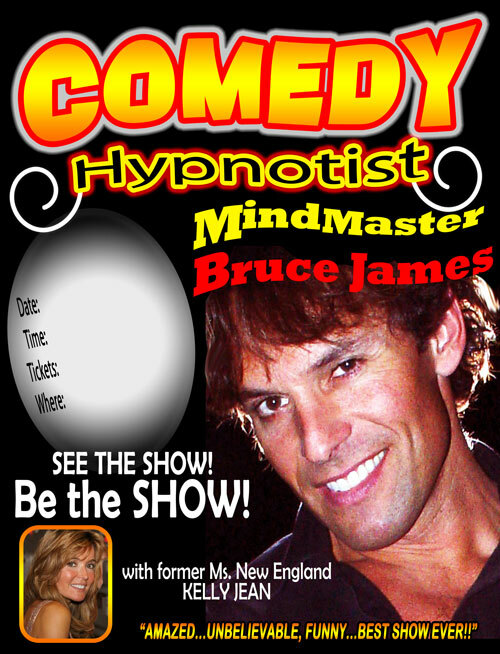 Stage Hypnotist Bruce James performes an audience participation event that will leave crowds spellbound. 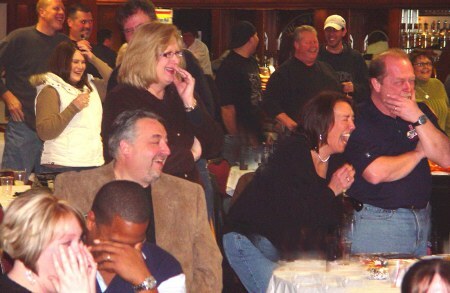 A comedy stage hypnotist is a meeting planners perfect choice for corporate hypnosis entertainment for all corporate events, the company Christmas party or after dinner show, and always a winning fund raising idea. Our show is powerfully funny, hypnotically entertaining and inspiring. We look forward to telling you more about what we do and why our hypnosis show will take your audience on a journey of laughter and fun. The stage hypnosis show combines improvisation with polished routines and music that keep the hypnosis show flowing smoothly from the beginning to the end. Bruce James has performed coast to coast in over 35 states. He and his assistant, Kelly Jean (former Miss New England), provide a quality Las Vegas Hypnotist style show that is classy and entertaining. will undergo a complete hypnotic transformation. amazing stage hypnotist show that they have ever experienced. The hypnotized volunteers are having fun, the audience is having fun. Bruce James Comedy Stage Hypnotist Show. 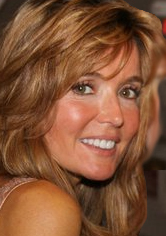 a sample of a promotional provided mailed or in high res jpg . . .
but a very attentive and nurturing couple with the audience. Keep up the great work. Thank you again from the bottom of our hearts . . .
You gave us wonderful memories. Best party they ever attended. It was a great experience for them. Bruce was very professional and put on a great show. Feel fee to use me as a reference. I just wanted to drop a line to let you know how pleased I was with your show. Our employees loved it and you gave us a night to remember. Thanks so much. I wanted to thak you once again for participationg in our gradualtion season. The consensus was overwhelming!. Most of my guests have never experienced a show like yours! They all told me it was the best party they have ever attended. Employee Appreciation Day - Kletter& Levine, P.C. Just a quick note to thank you and Kelly again for a great job! Everyone had a wonderful time (two of the girls said they couldn't figure out why they were sore the next day! ), and I'm sure we will be talking about this staff outing for years to come! Many people told me they hadn't laughed so hard in years! Stop by to see us next time you're in the Adirondacks again! You were great, more than we expected! Everyone had a great time. They are still talking about it. A joy to be in the audience for a hilarious comedy show. Family friendly - great for people of all ages. We also made our fundraising goal! Just wanted to let you both know that i did receive the Dvd today, I haven't had the chance to watch it yet, but i will soon though. I am sure I will get a good laugh from it. My father mentioned that he could not stop laughing the whole night and he regrets not being up on stage with the rest of us. We both enjoyed talking with you both downstairs after the show. You are great people, It seems like i have known you both forever,that's how great your personalities are! ..Hope to go to another show soon!.. Take Care Have A great day!. 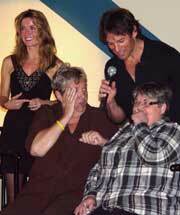 Bruce was hilarious, while still being sensitive and watchful over his volunteer's! The humor was clean and the audience enjoyed themselves immensely. Additionally, if any of you or your company's are looking for some fun entertainment, give James a call!